The Calendar Committee - which is made up of staff, parents and students - is beginning work to develop the 2019-2020 school year calendar. They're looking for input from families, students and staff to help guide their work. Families should have received an email earlier this week with a link to an online survey. If you haven't done so already, please complete the calendar survey to provide your feedback. Offering Ready, Set, Go (RSG) conferences to all elementary students has proven to be a huge success. Parents and teachers agree that the time set aside for students to meet teachers before school began made a big impact in starting the year off well. In a recent survey, 96% of teachers found their time during RSG to be beneficial or highly beneficial. There is still time to weigh in with your thoughts. Parents can complete the RSG survey through the end of the week. All results will be compiled on Friday, Sept. 14 and shared with staff as they plan for next year. Preschool classes are back in session at the Early Childhood Family Center and all seven of our elementary schools. Our littlest learners began the school year on Tuesday. Check out more photos on the Early Childhood Facebook page. 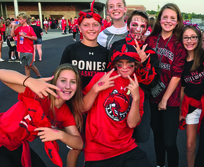 The second annual Pony Homecoming Carnival will be held on Friday, Sept. 28 from 4-6:30 p.m. at the high school. Mark your calendars for this family-friendly event which features inflatables, carnival games, activities, food trucks and more. All are welcome! Stop by Heritage Embroidery to pick up your official Homcoming 2018 t-shirt. High school students may also purchase t-shirts at the high school starting Sept. 19. Not a student? It doesn't matter! 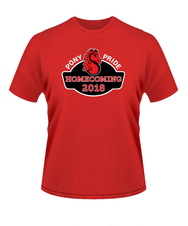 We're encouraging our entire community to wear Pony gear on Friday, Sept. 28. Pull out the old letter jacket, dress in red and black, or don your favorite Pony tee or sweatshirt. Get your colleagues together in all their Pony wear and take a photo - post it on social media with the hashtag #PonyPride and we’ll share it on the district’s Facebook page. Managing your e-newsletter subscriptions is easy! You've told us that receiving e-news is your preferred way to stay informed with what is happening in schools and throughout the district. If you'd like to make changes to the e-newsletters you receive, please visit stillwaterschools.org/subscribe. Once you enter in your email address, you'll be able to see which newsletters you're currently subscribed to and then add or remove yourself from any e-news on the list. If you have subscribed using multiple email addresses, you'll have to manage each email account individually. Seven candidates have filed for four open seats on the school board. Learn more about each of the candidates before you go to the polls in November. The Stillwater Gazette is sponsoring a school board candidate forum, hosted by Margot Rheinberger, on Wednesday, Oct. 24 from 7 to 8:30 p.m. at Stillwater Middle School. See a list of school board candidates online.